May 12, 2013, many people throughout the world will be celebrating Mother’s day with their moms. Every family will celebrate Mother’s Day a little bit differently. Families with small children might hand craft them something special, other mothers may be treated to a Mother’s Day brunch and a bouquet of flowers. Since not everyone lives close to their moms the day is filled with overseas phone calls, flower deliveries, gifts both big and small as well as well wishes. On this day everyone is trying to show their mom exactly how much she means to them in their everyday lives by making her feel extra loved and appreciated on this one day a year. The thing about moms is that they do not care if the gift that you get them is something big or something small, as long as it comes from the heart. Mom’s are just like that. 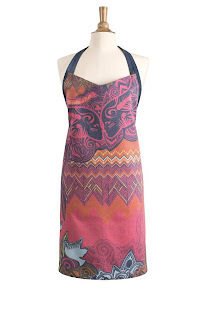 For mom: Ford Warriors in Pink "Courage in the Kitchen" apron, which was recently worn on ABC's show, "The Taste," as a Mother's Day gift. This limited edition item is $34 and available for sale at FordCares.com, with 100% of the net proceeds going towards one of four charities that consumers can chose from: Susan G. Komen for the Cure®, Dr. Susan Love Research Foundation (DSLRF), The Pink Fund and the Young Survivor’s Coalition (YSC). Mastrad - a culinary accessories company, who offer a Macaroon Baking Set which will make a wonderful gift for Mother’s Day. 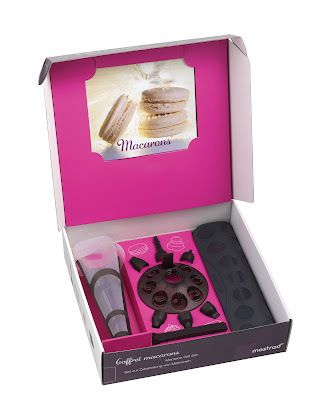 As macaroons are so popular right now, the Macaroon Baking Set contains all the proper accessories to make homemade macaroons just like the pros! The set comes with a macaroon cookbook, 1 silicone macaroon baking sheet (small ridge), and a silicone pastry bag with accessories. It’s fun, easy and moms will love it. The Macaroon Set comes with a recipe book and it is $49.99.